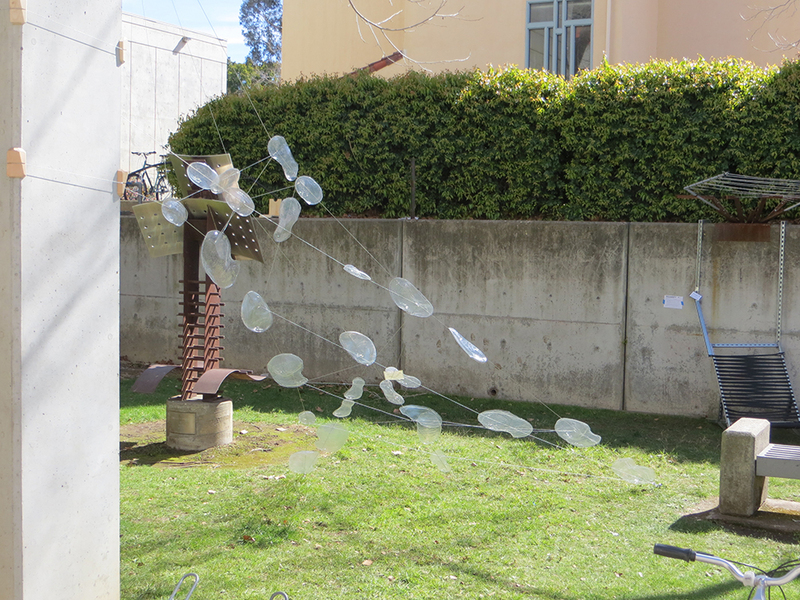 What is the paraSITE Project? 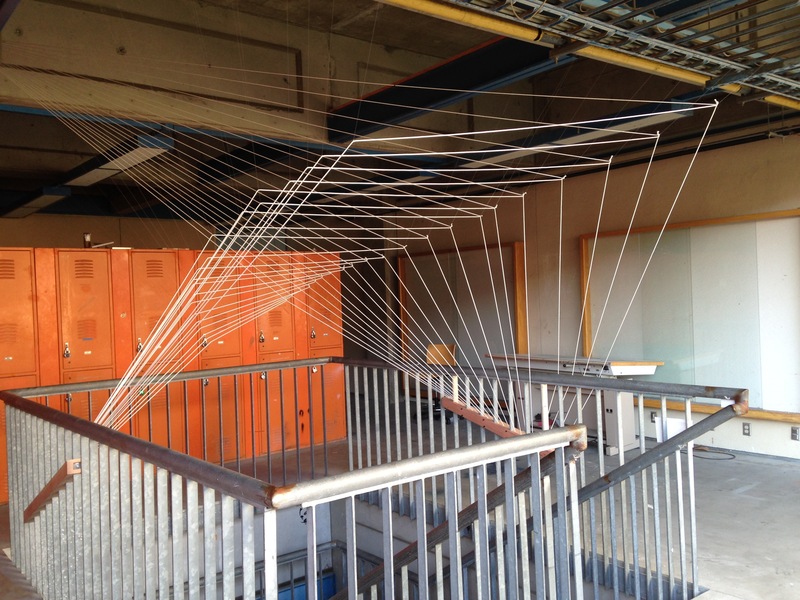 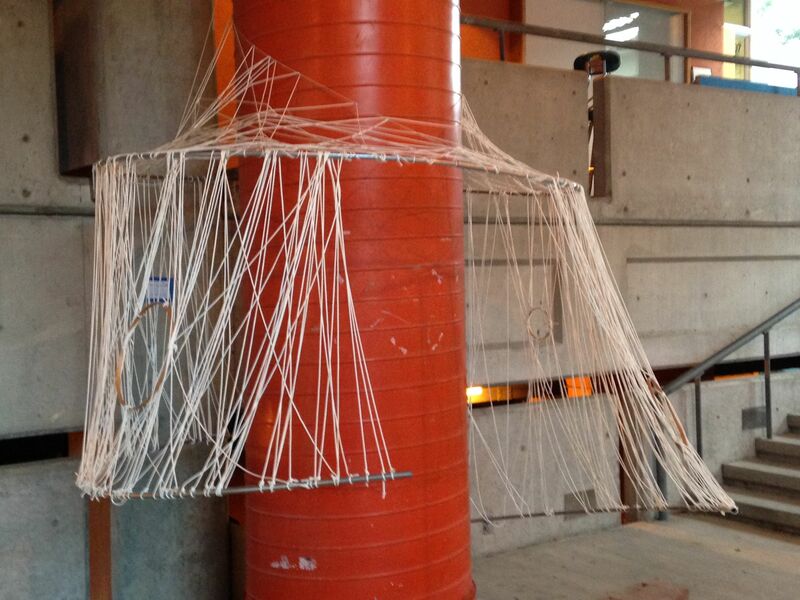 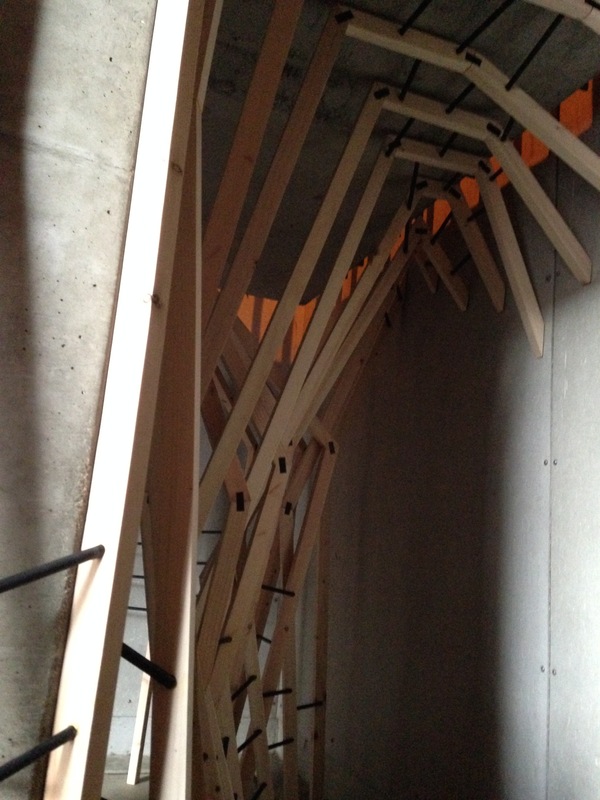 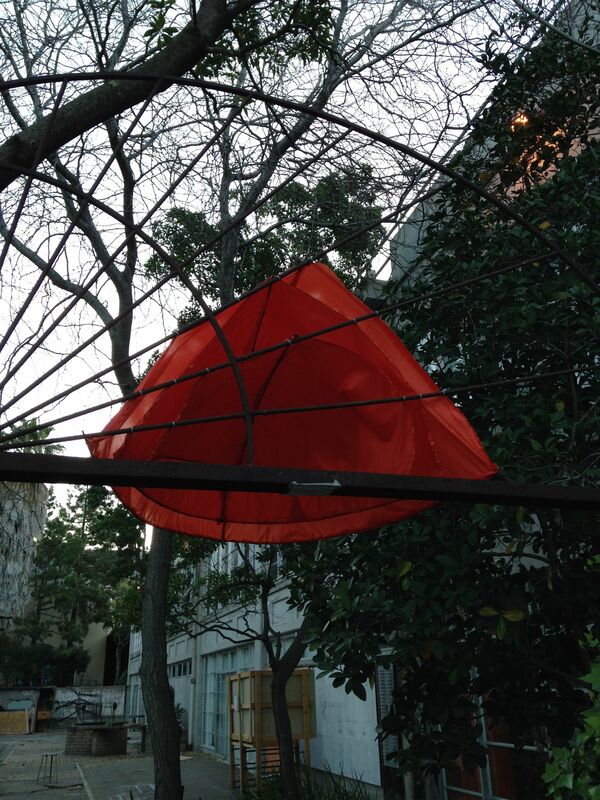 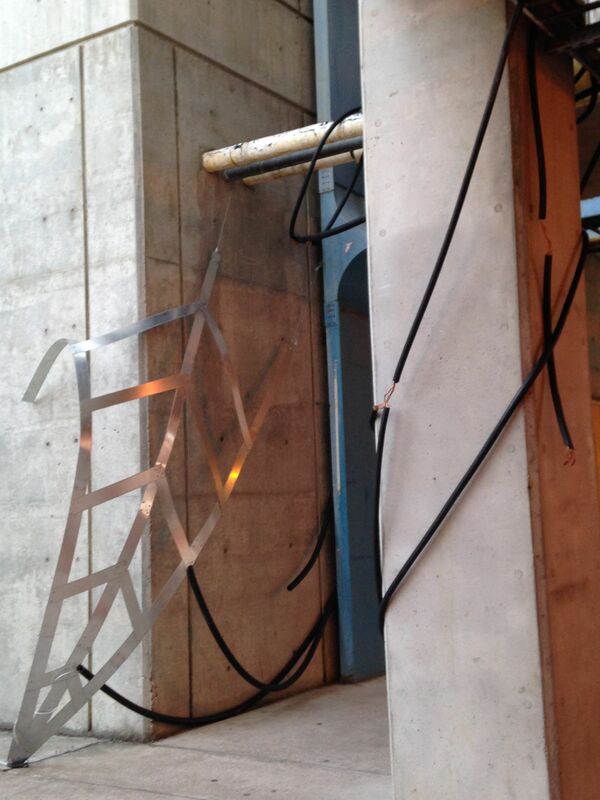 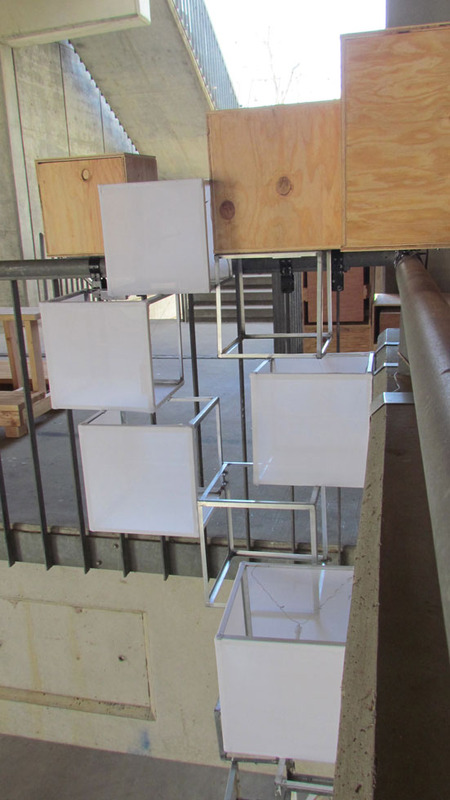 This year projects will be on display throughout the Architecture Building (Building 05) February 22-29, 2016. 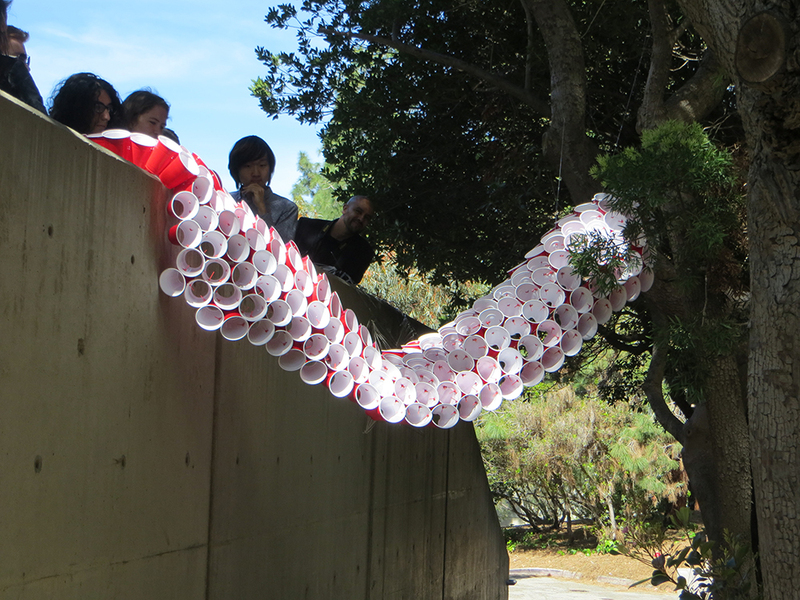 The paraSITE project, now in its 10th year, occurs at the midpoint of the First Year program and offers the students the opportunity to utilize the concepts and skills that they have acquired to that point to engage in an investigation into material, context, and the human scale. 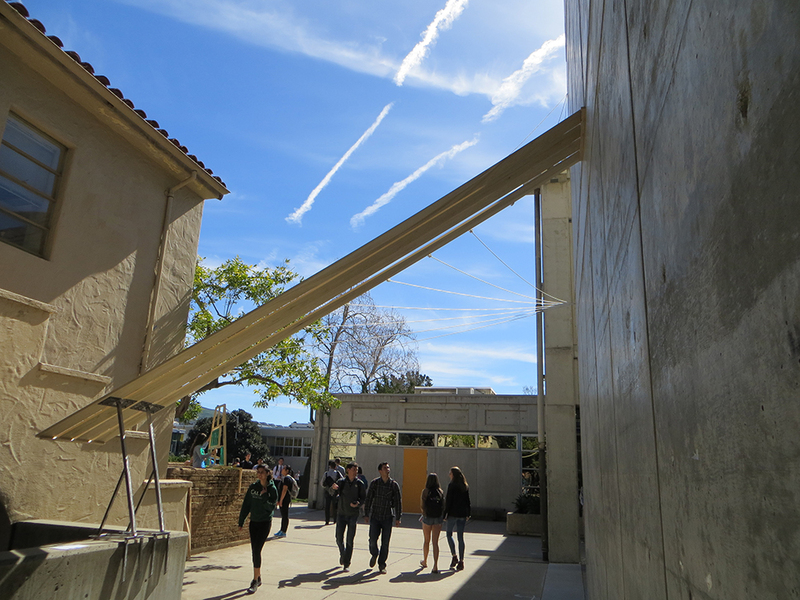 Working in groups of four, students are assigned a specific location on the Architecture Building to serve as a site. 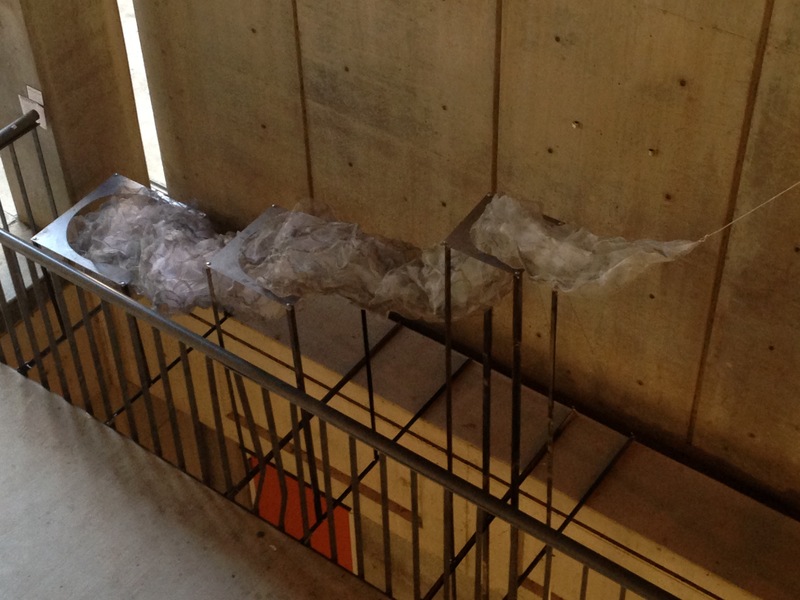 Each site is carefully drawn and modeled, and the students begin to learn about the influences, both tangible and intangible, that makes their specific site unique. 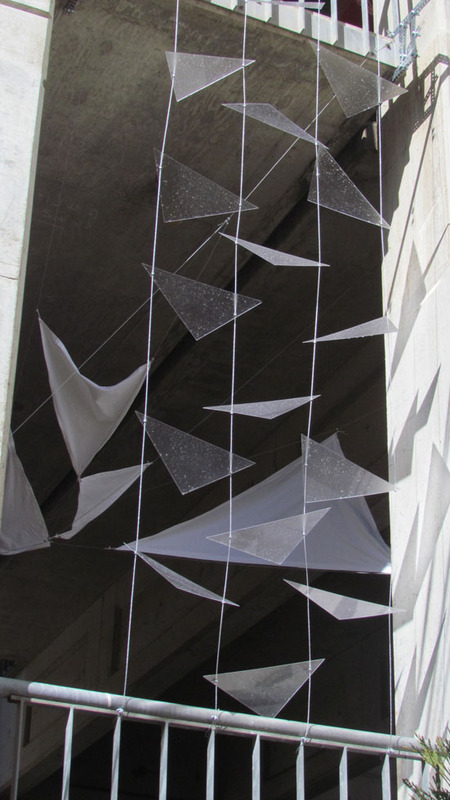 Sketches, watercolors, photographs, rubbings, as well as the creation of temporary instruments are employed to discover ideas about forces at work on their site such as traffic, temperature, materiality, texture, wind, light, and mood. 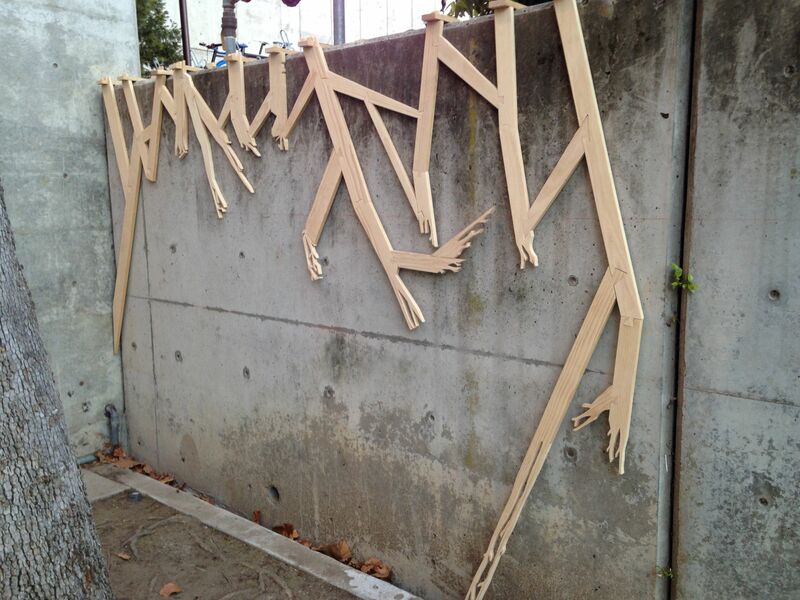 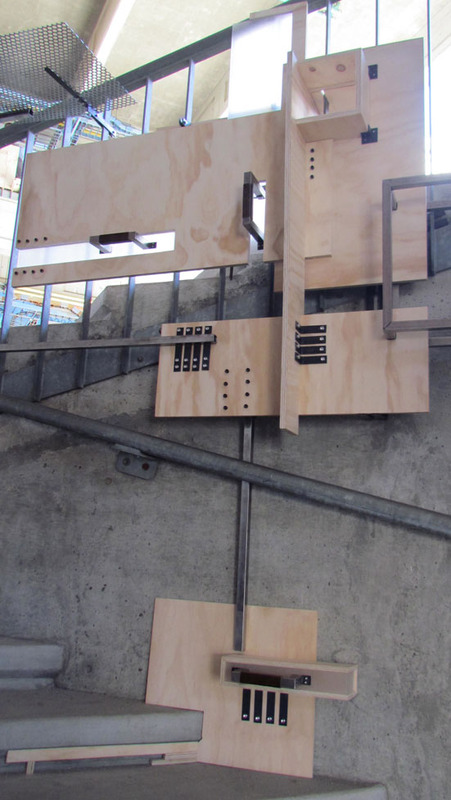 Using this information, each group creates a paraSITE, which is temporarily attached to building while displaying a high quality of craft in joinery and materials, and serves to highlight a site-specific condition through human interactivity. 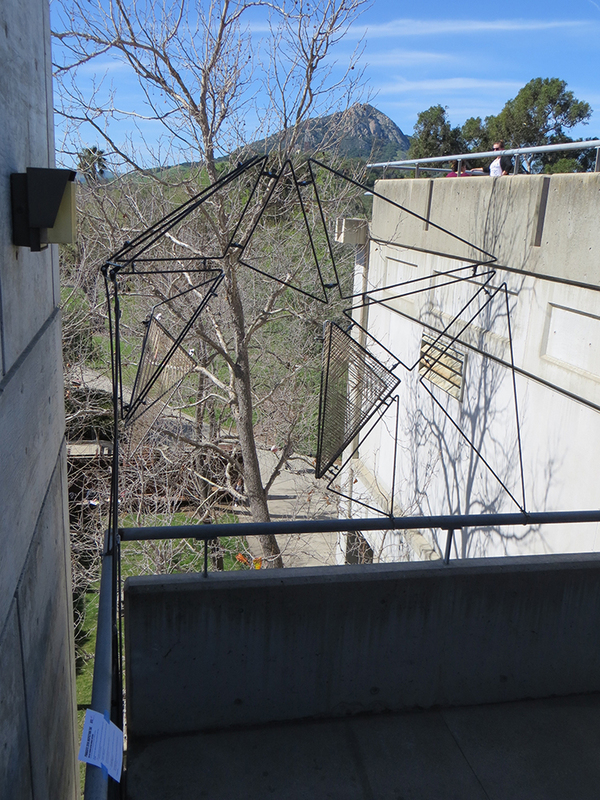 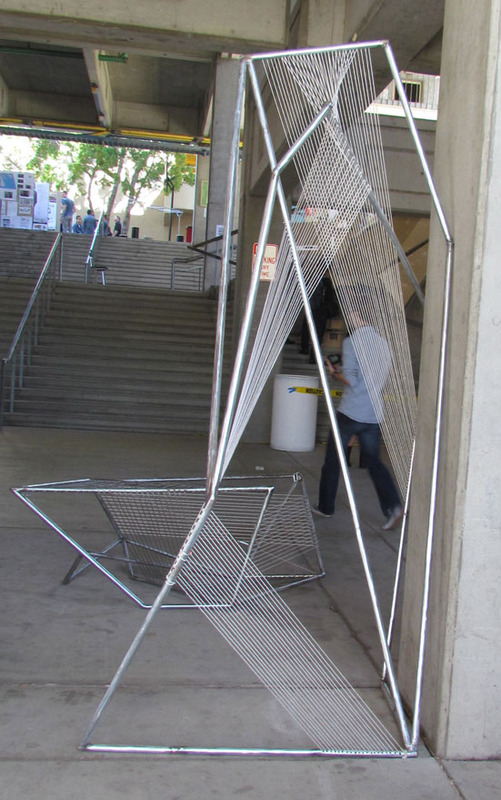 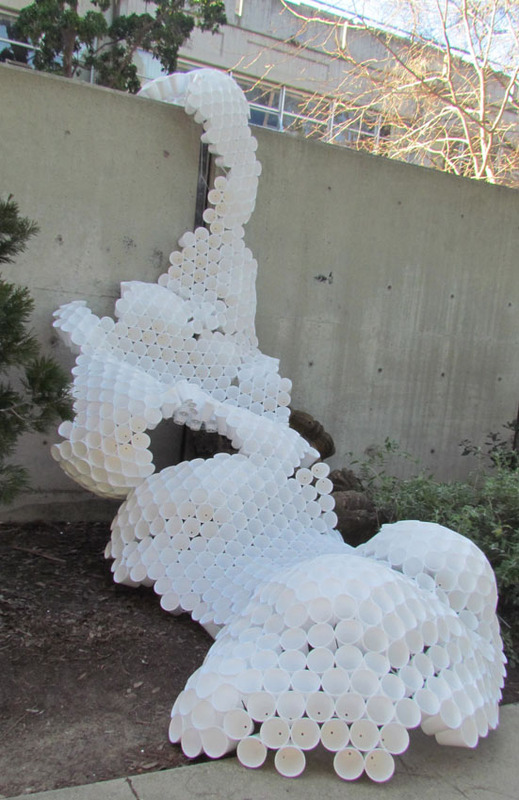 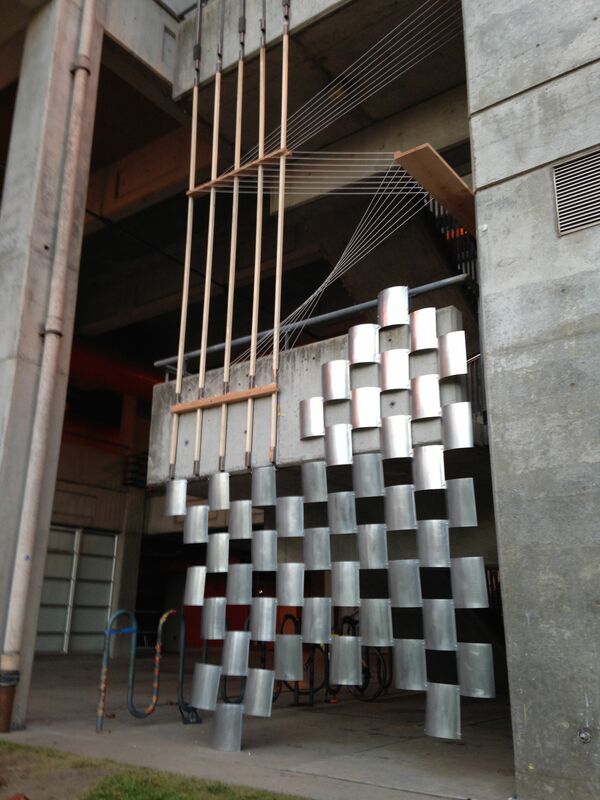 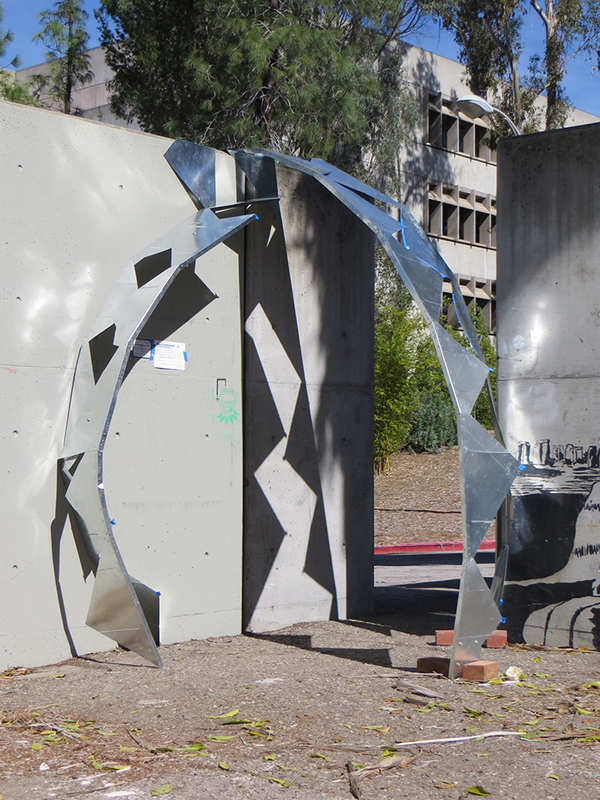 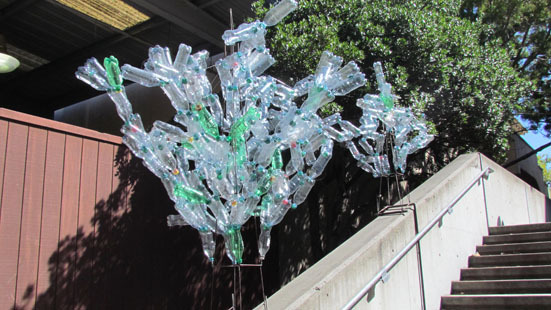 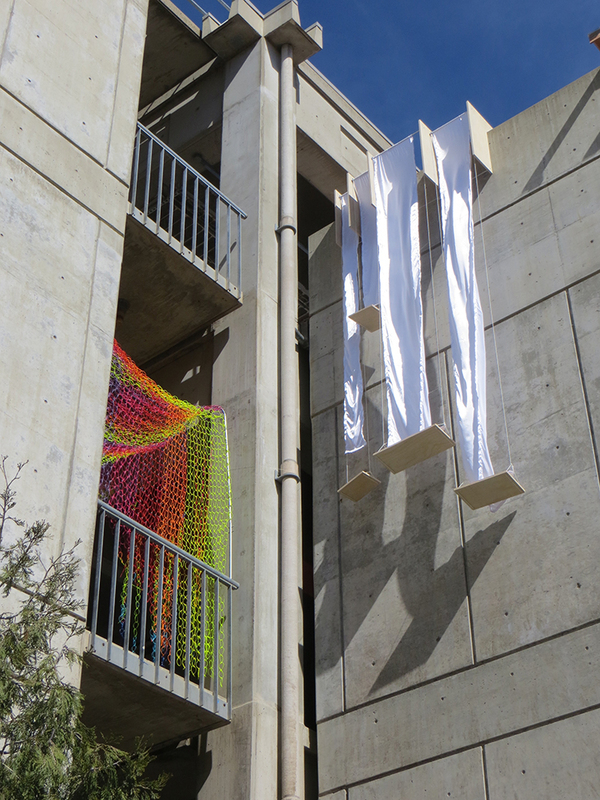 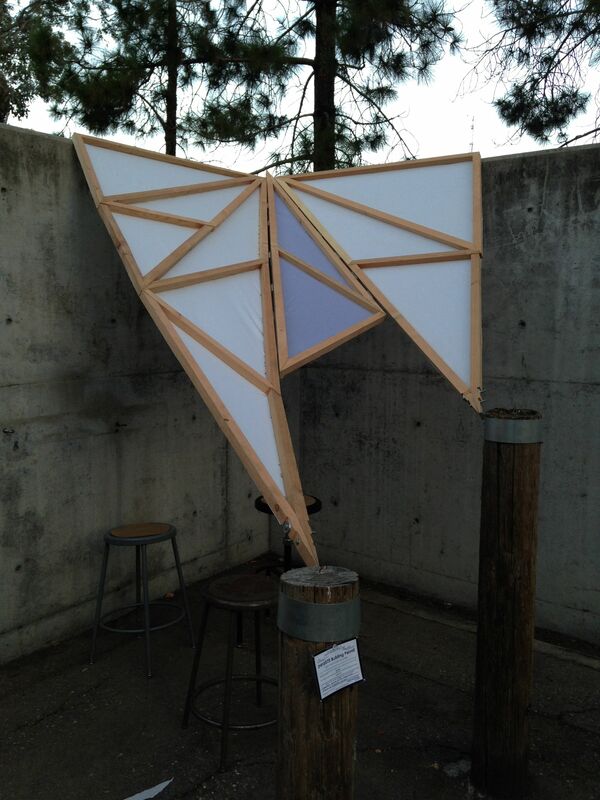 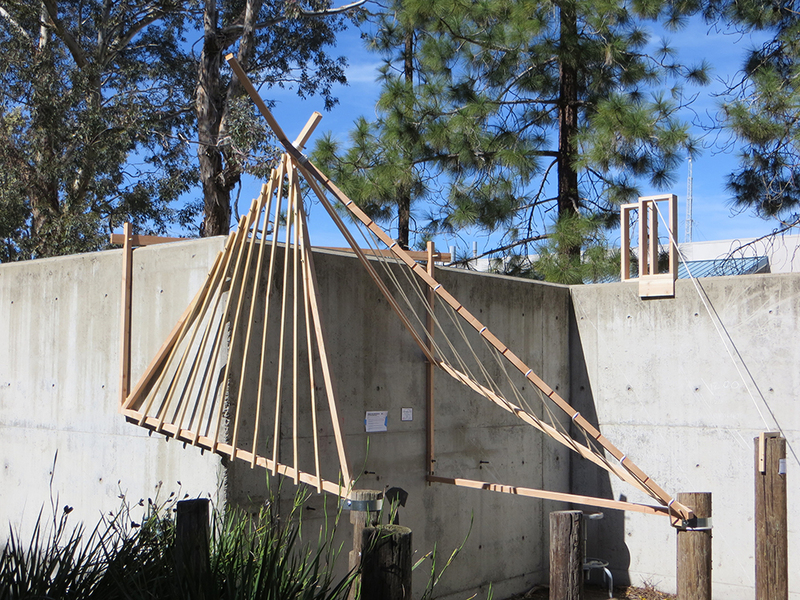 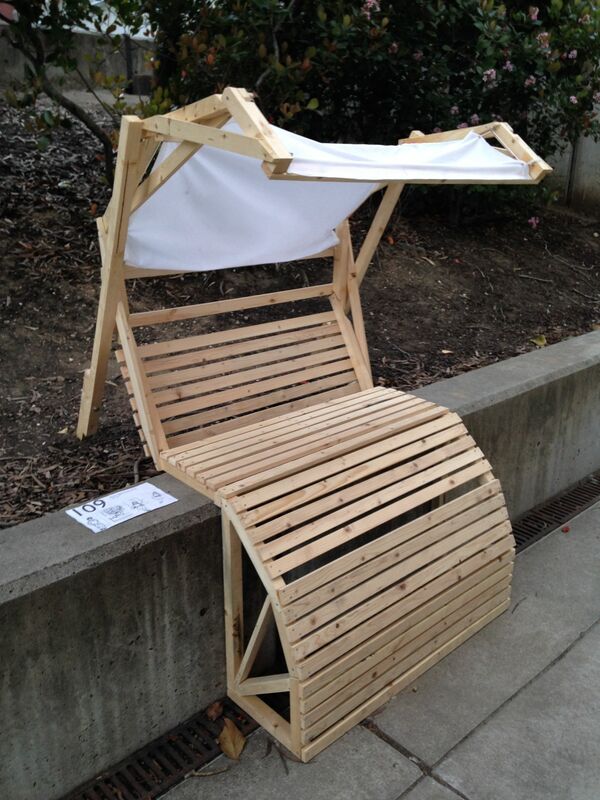 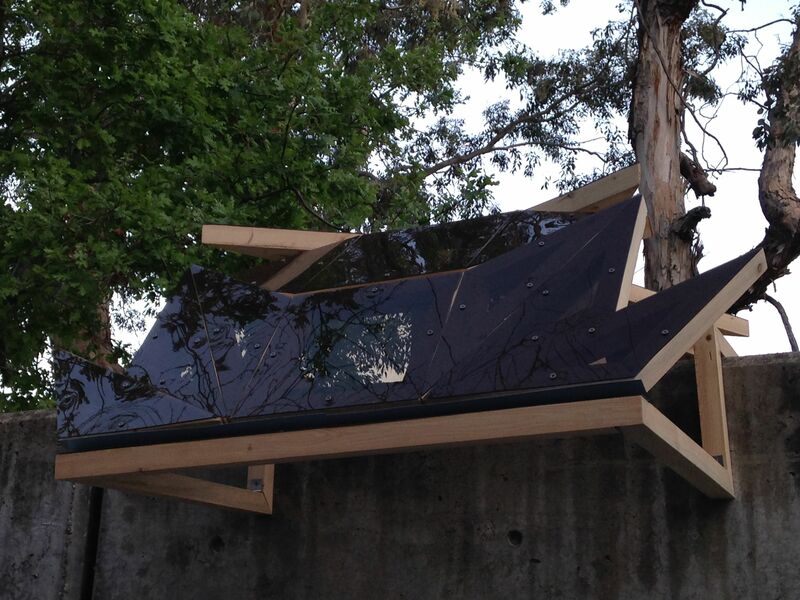 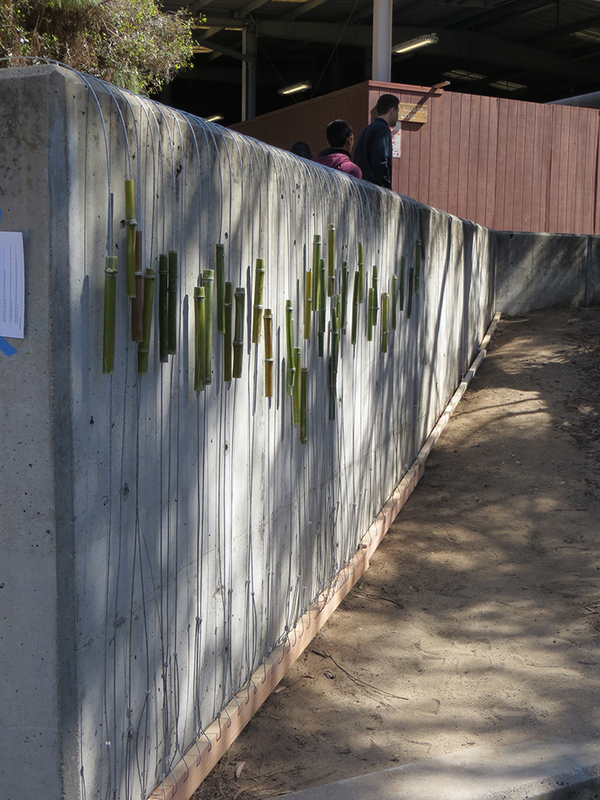 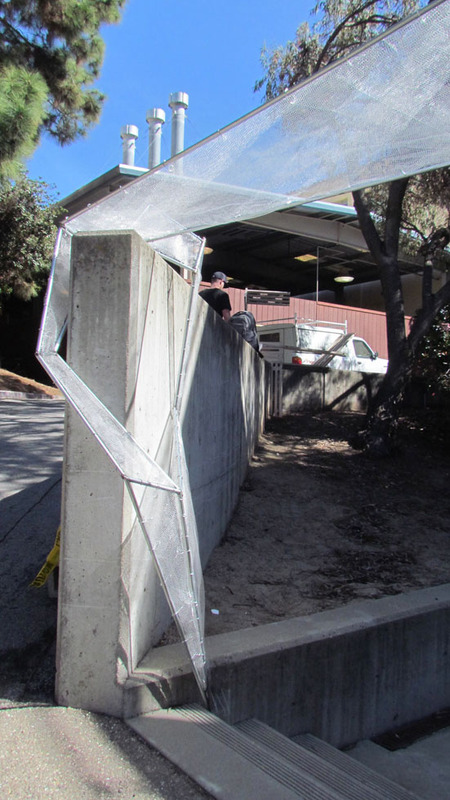 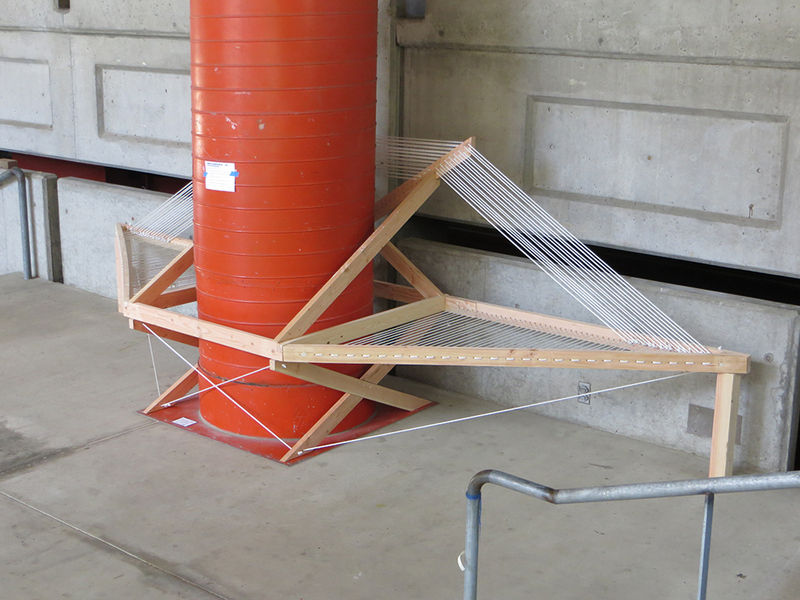 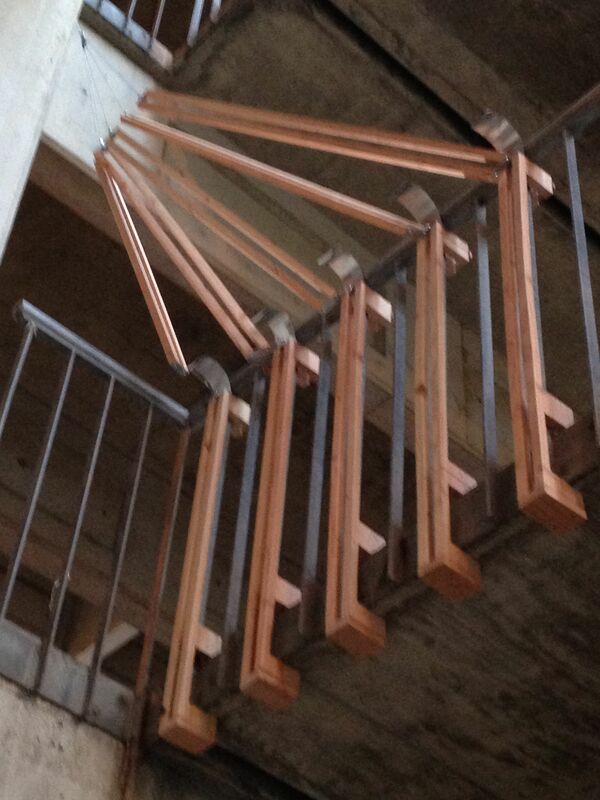 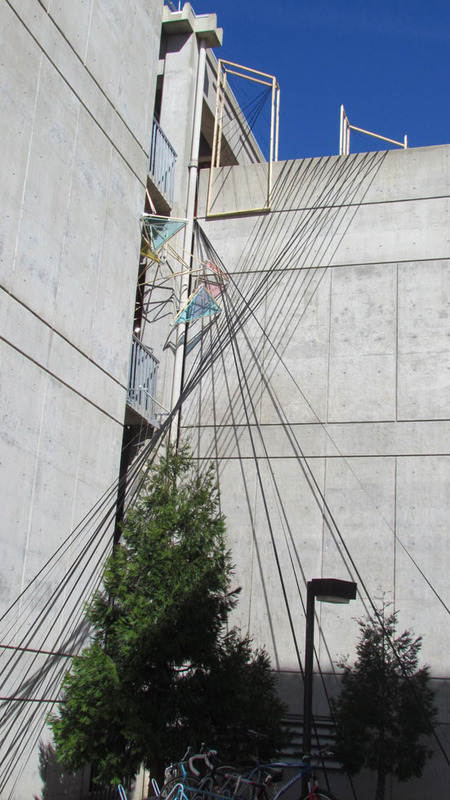 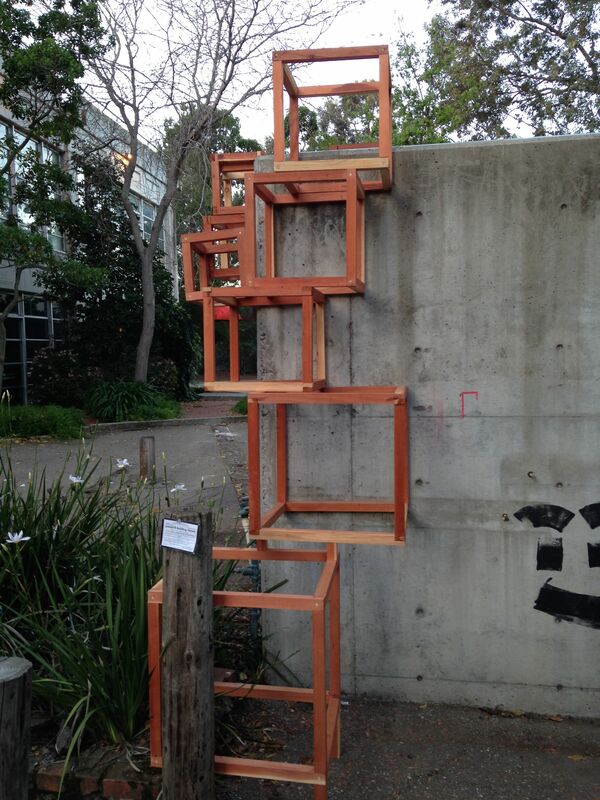 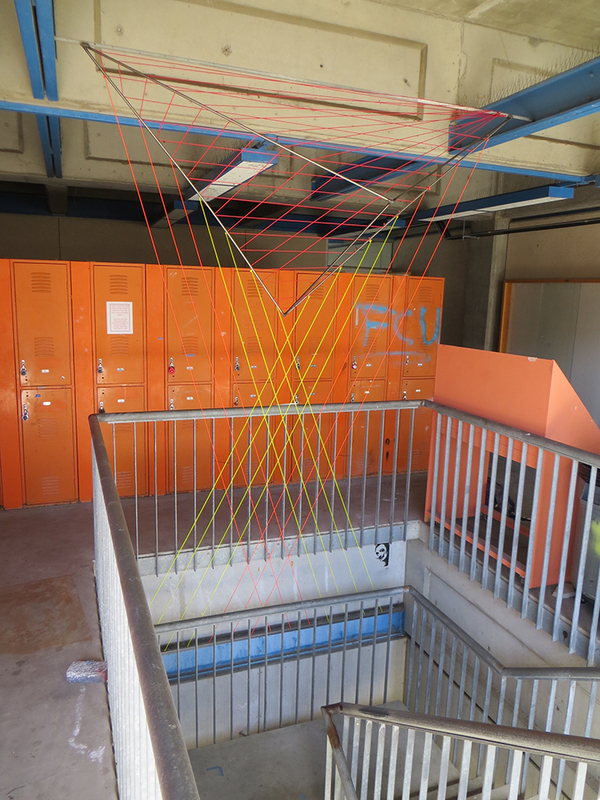 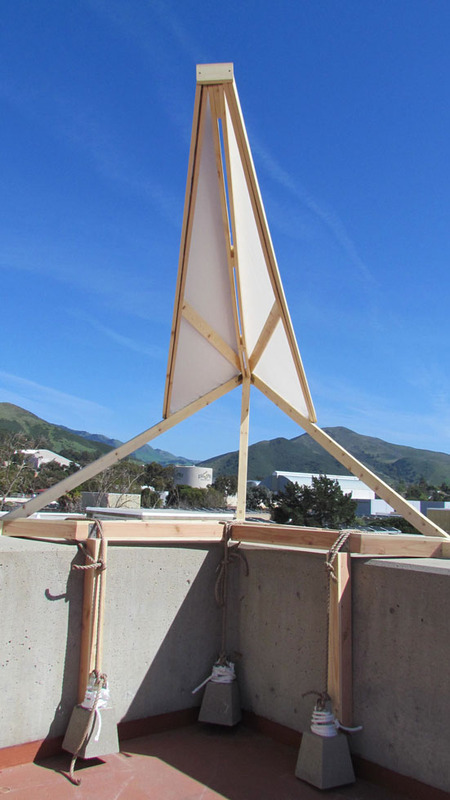 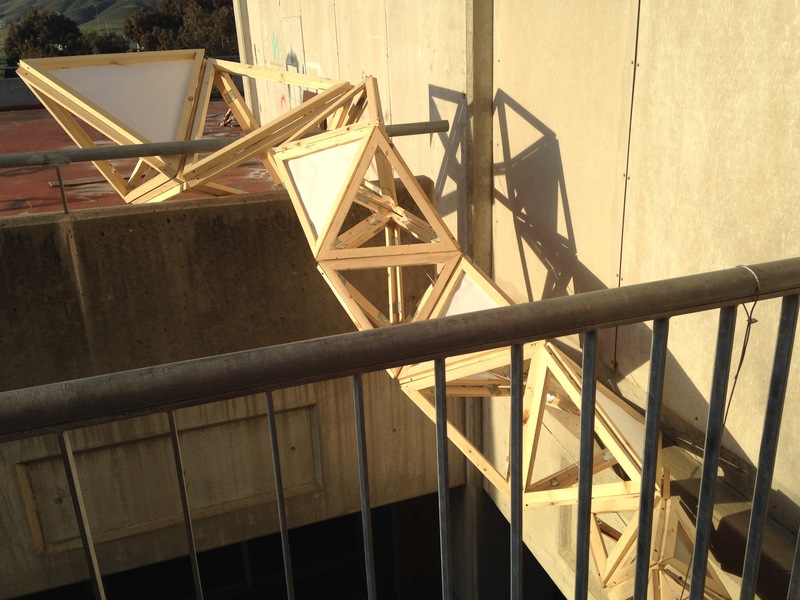 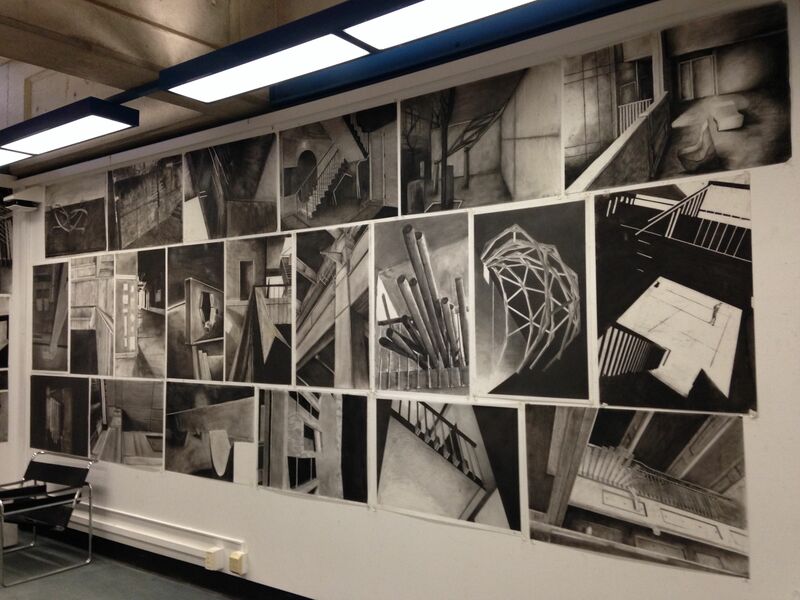 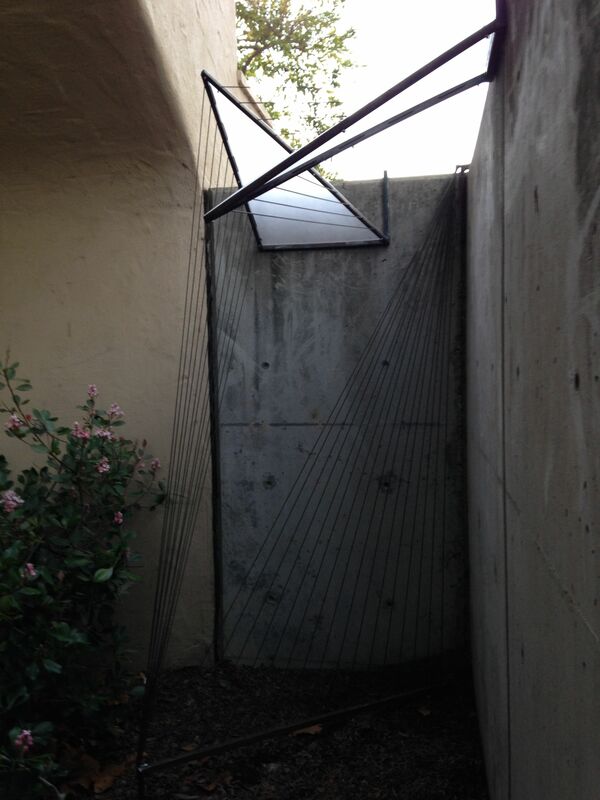 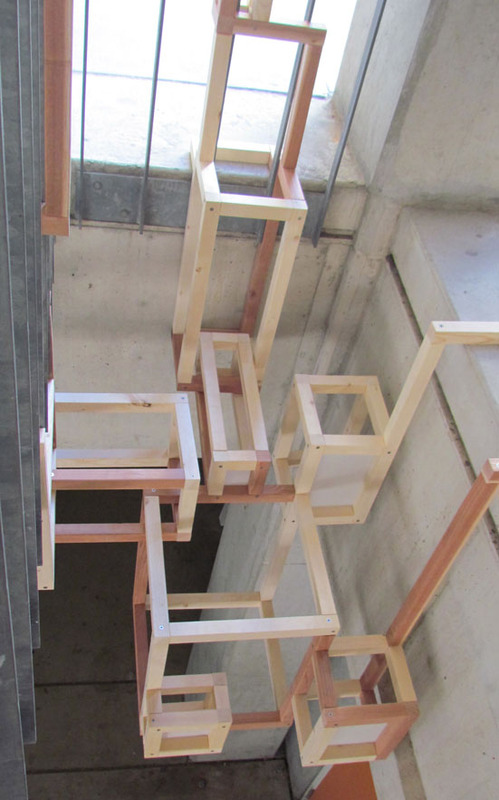 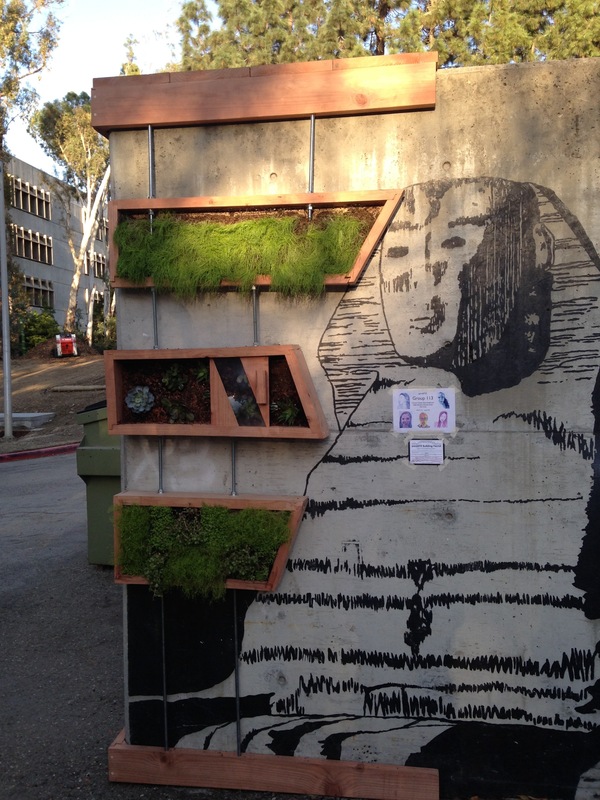 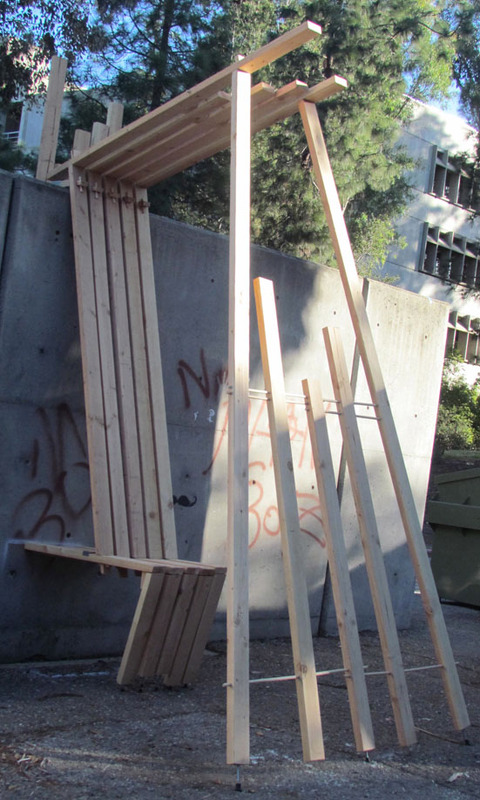 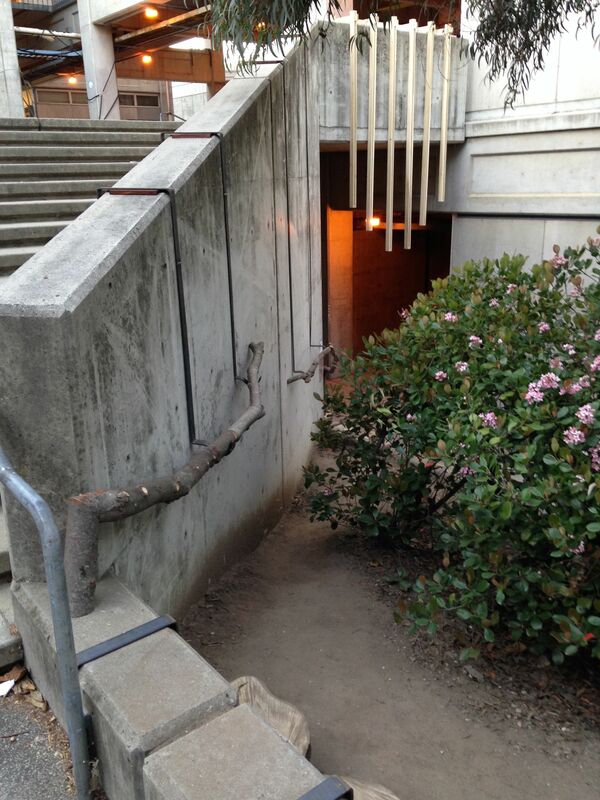 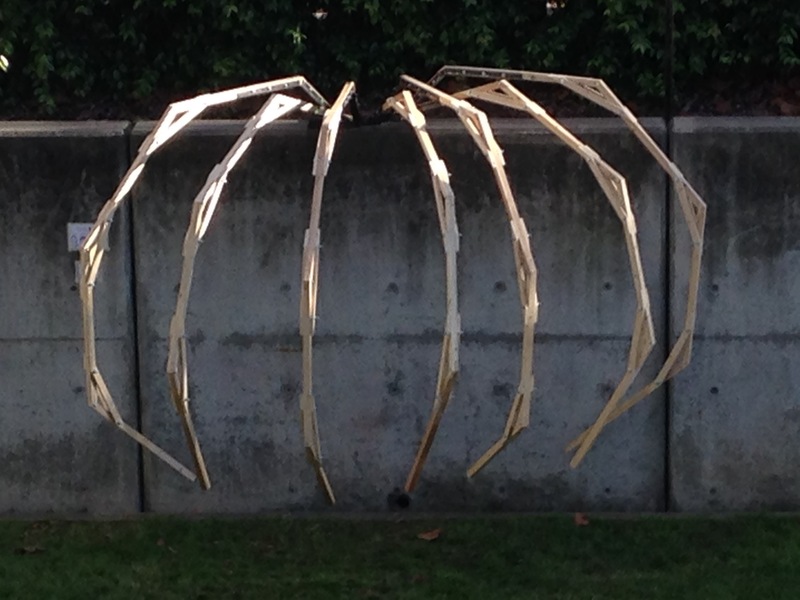 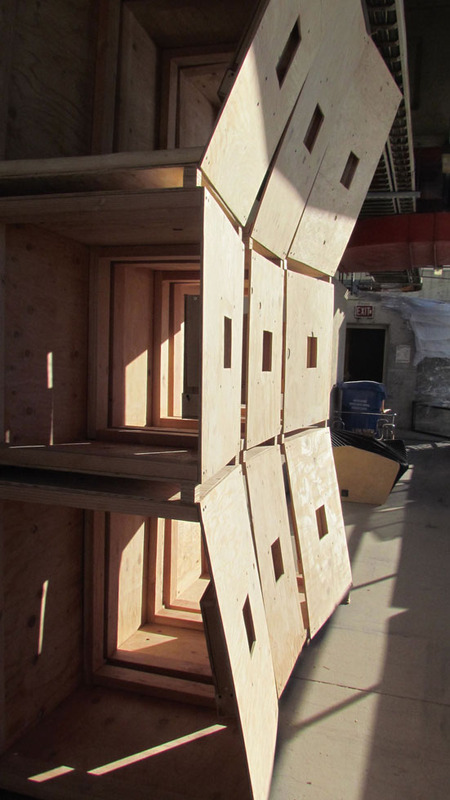 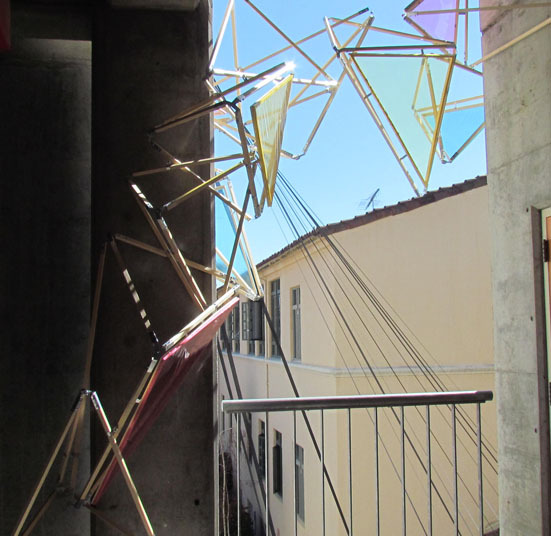 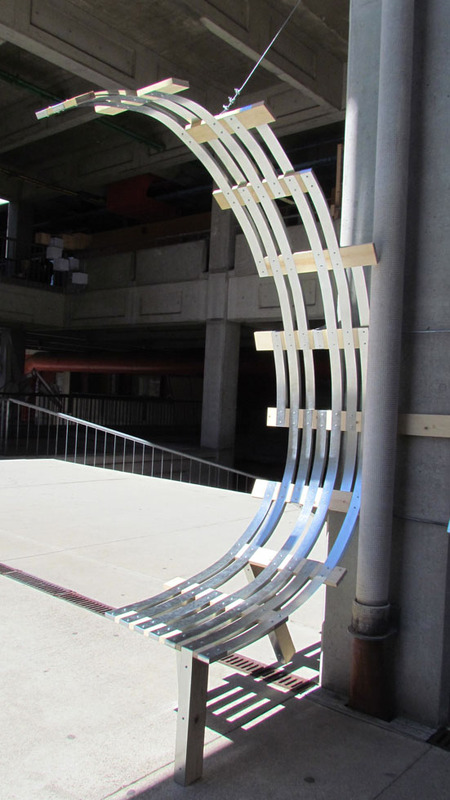 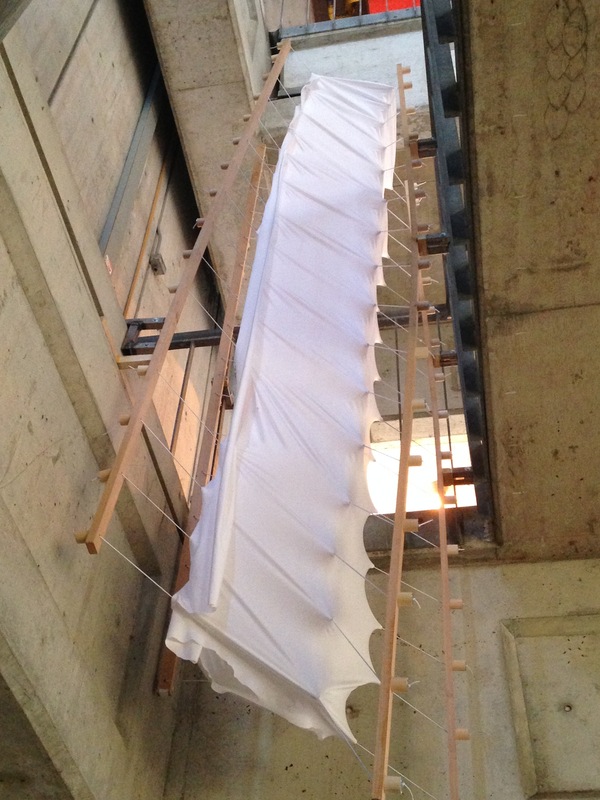 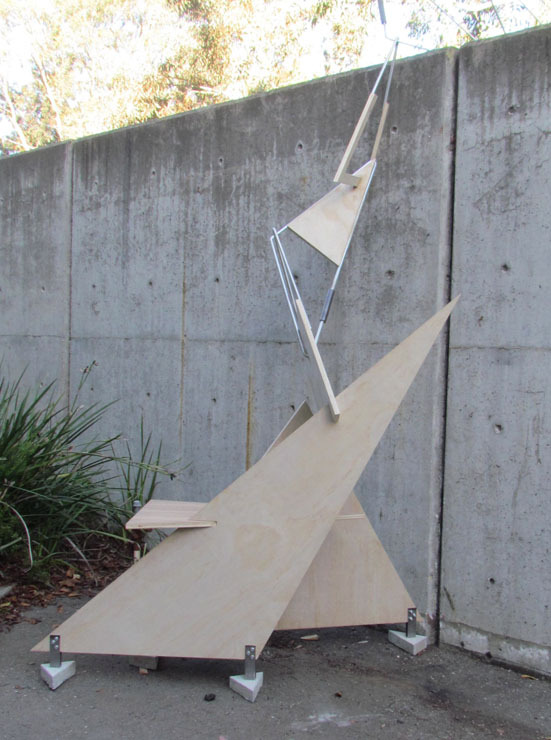 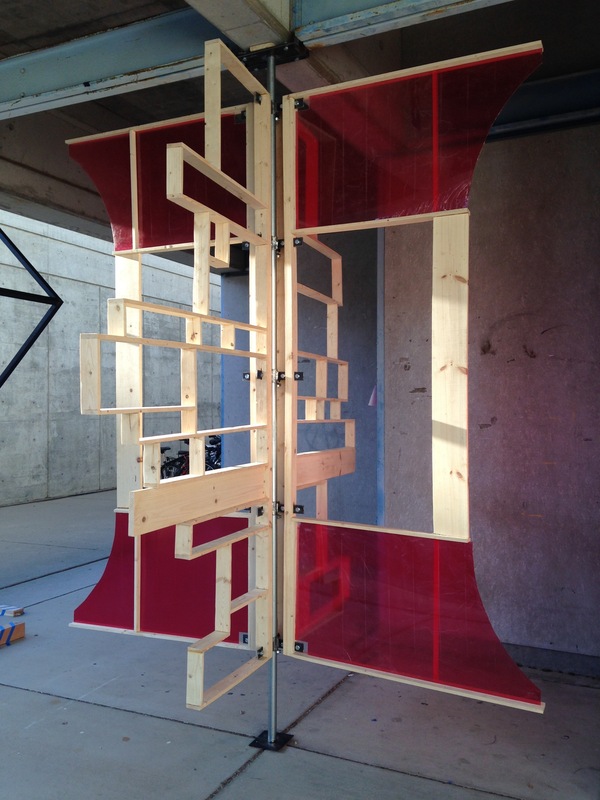 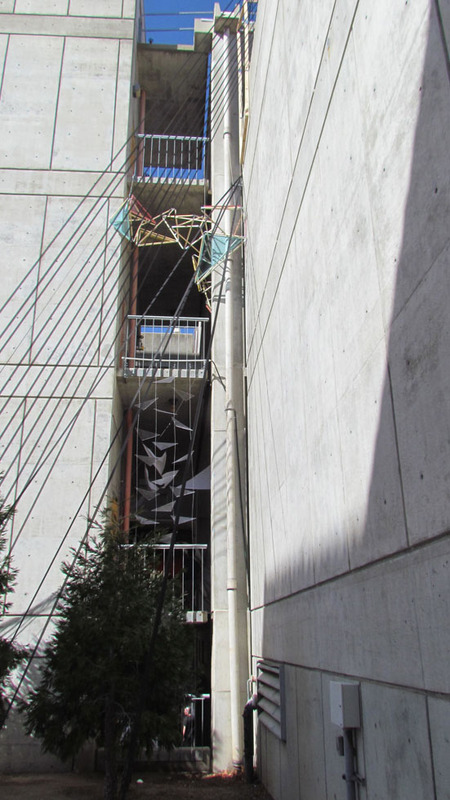 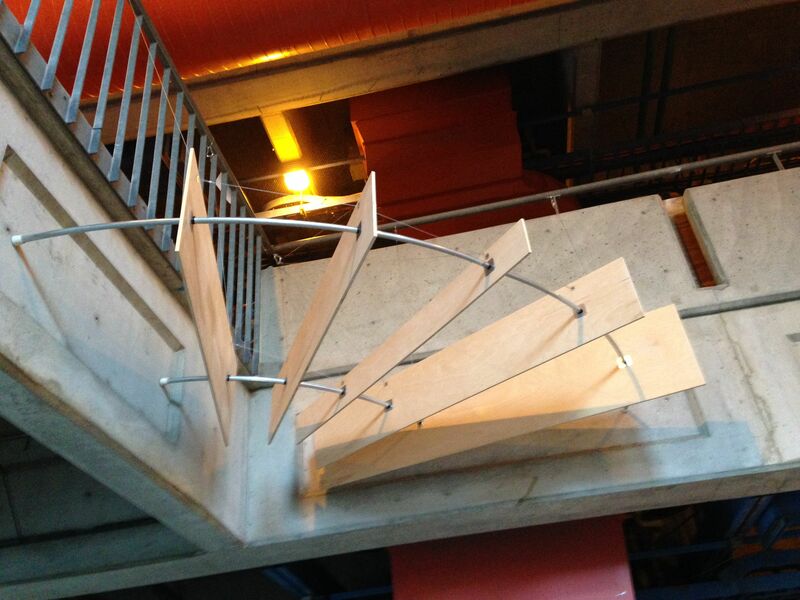 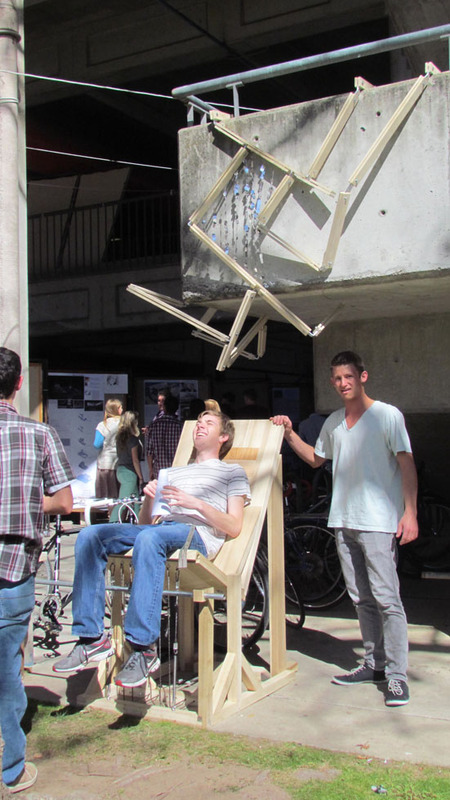 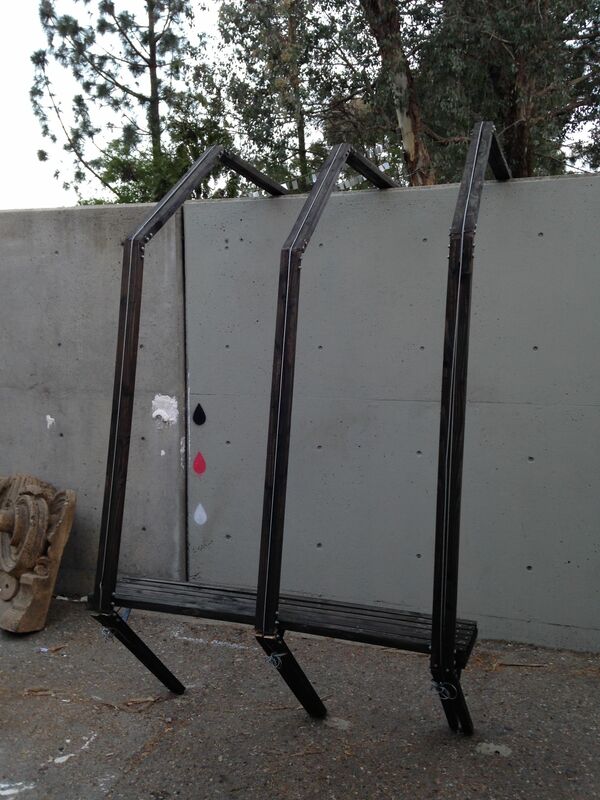 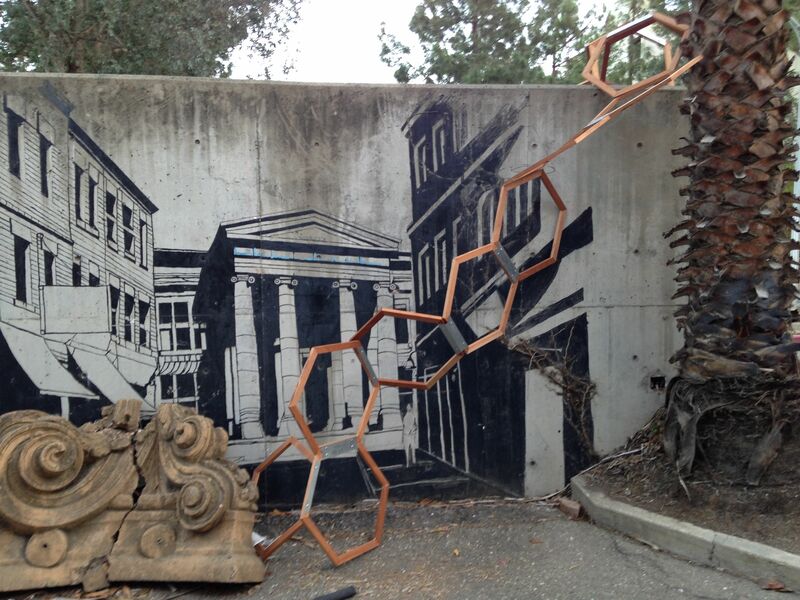 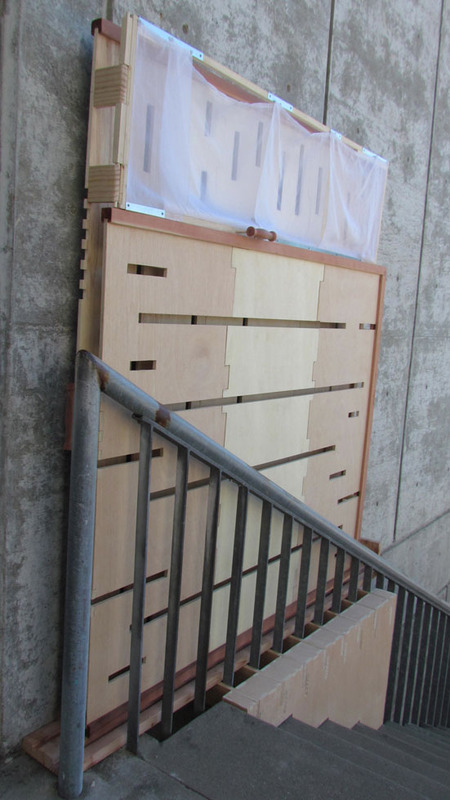 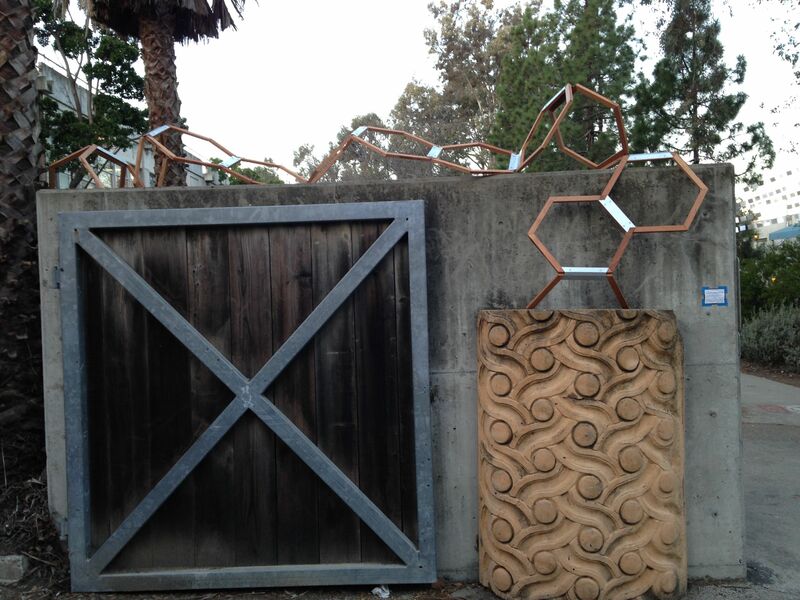 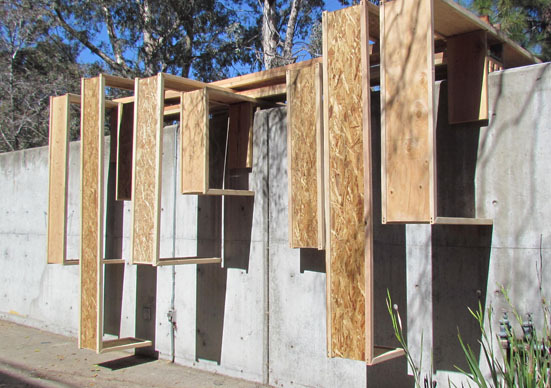 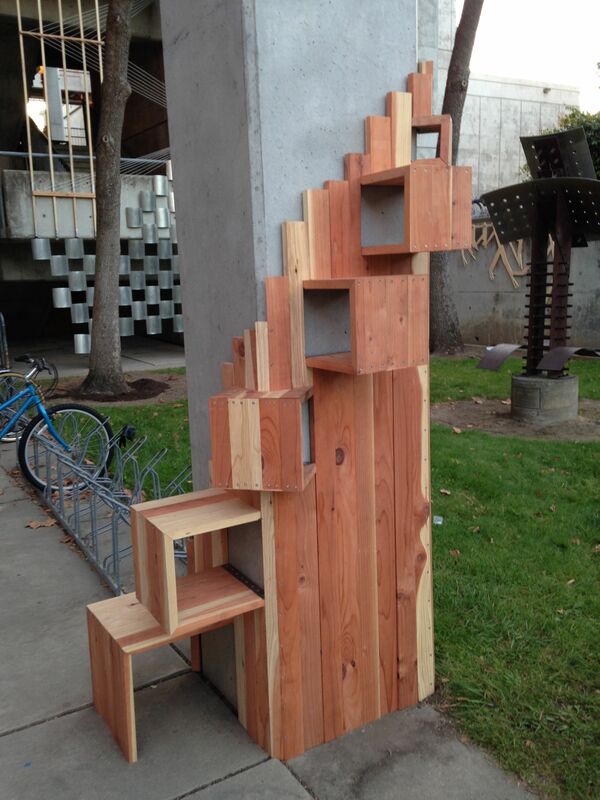 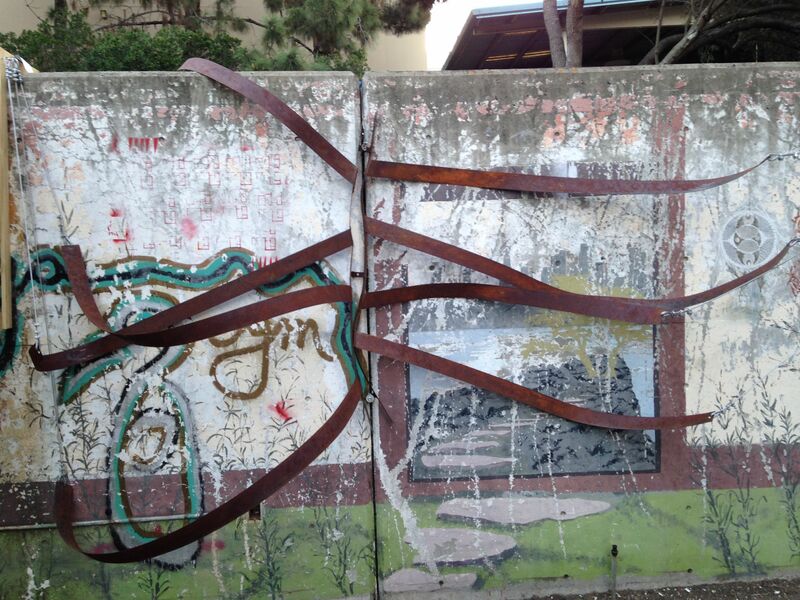 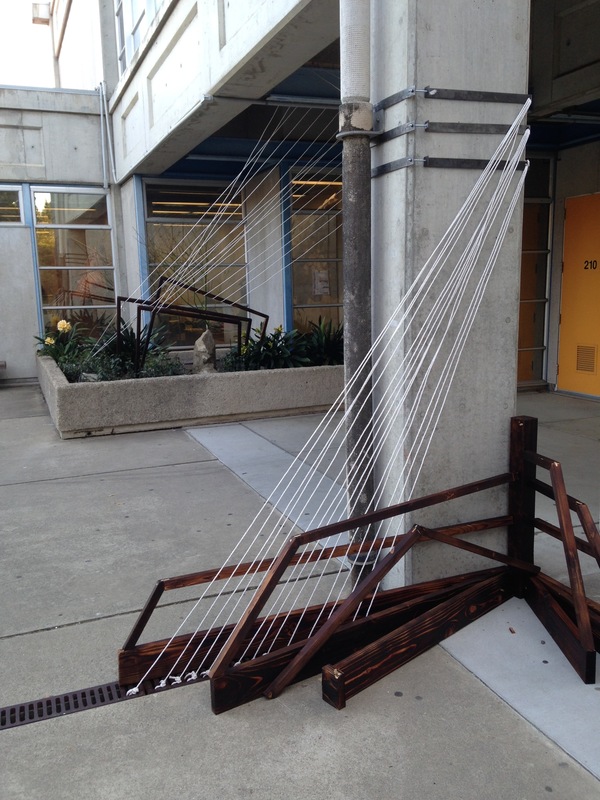 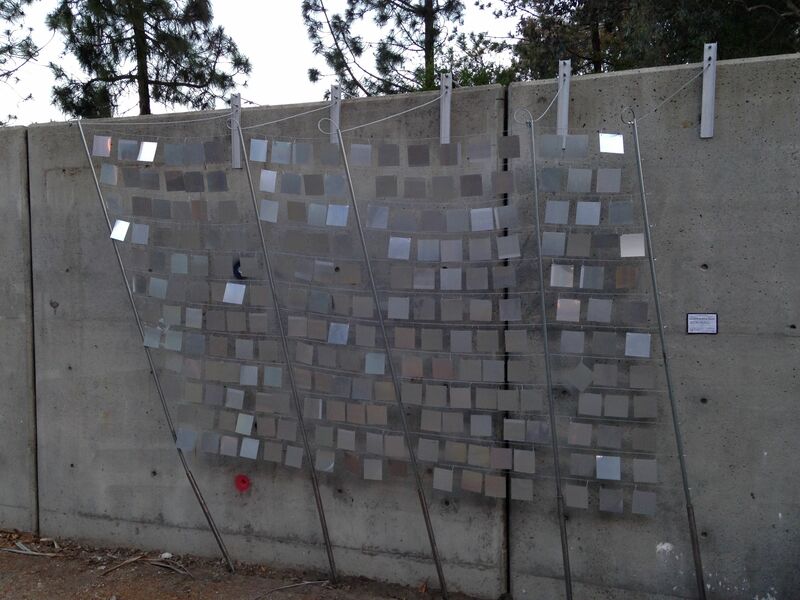 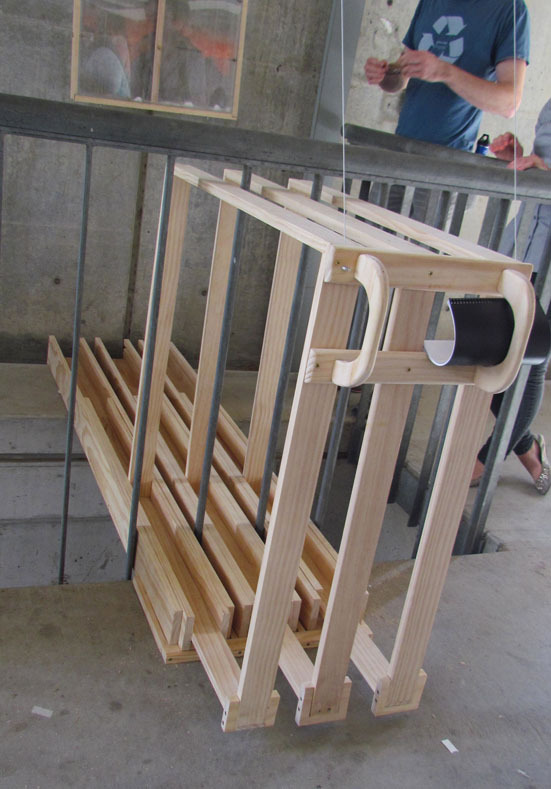 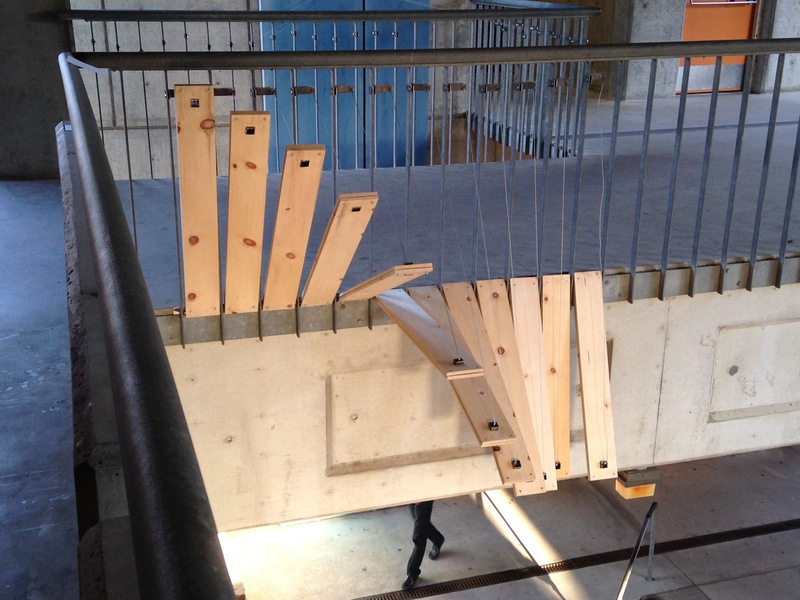 About 250 freshmen architecture majors are completing their first major projects at Cal Poly. 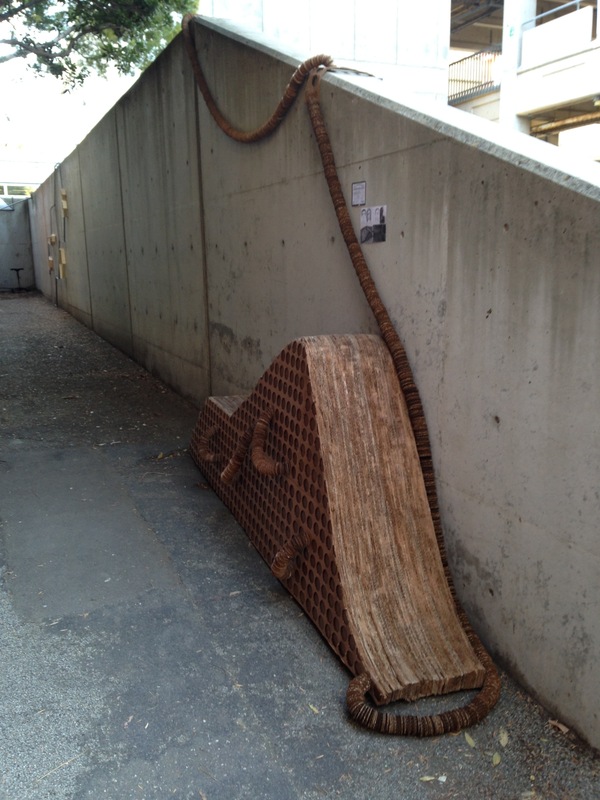 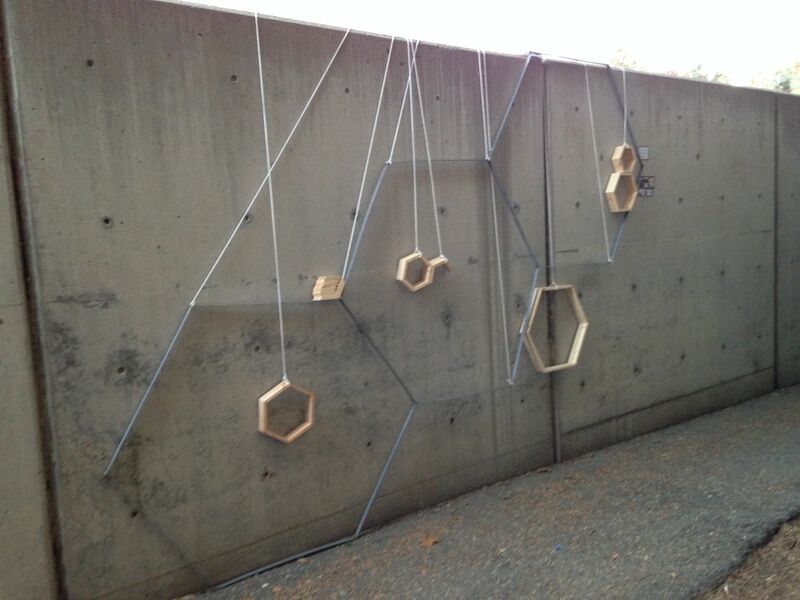 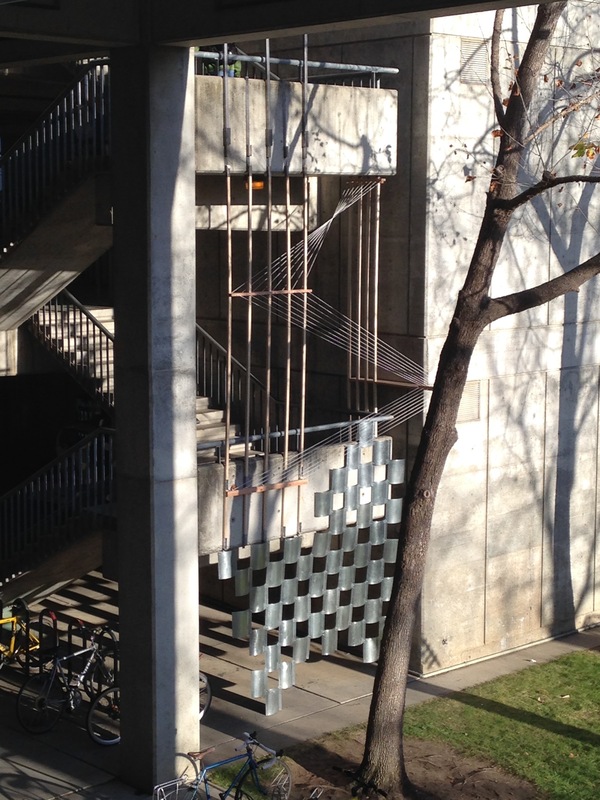 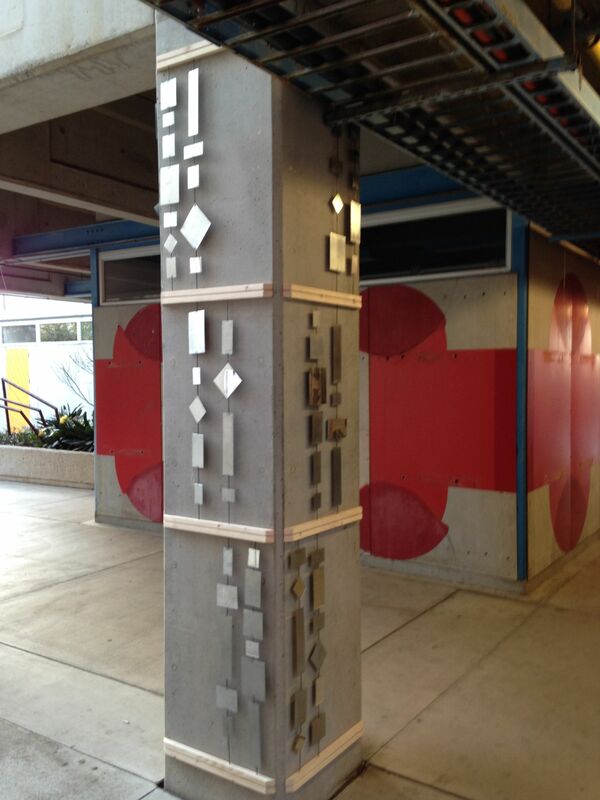 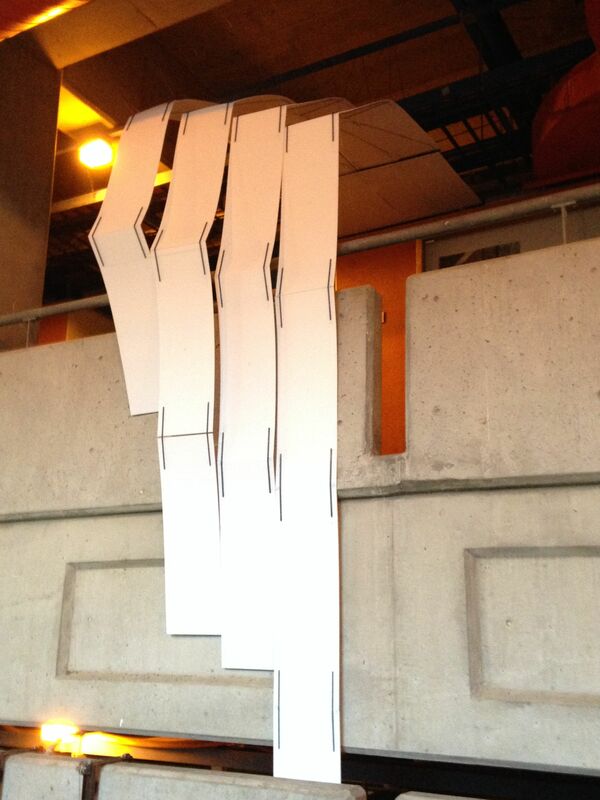 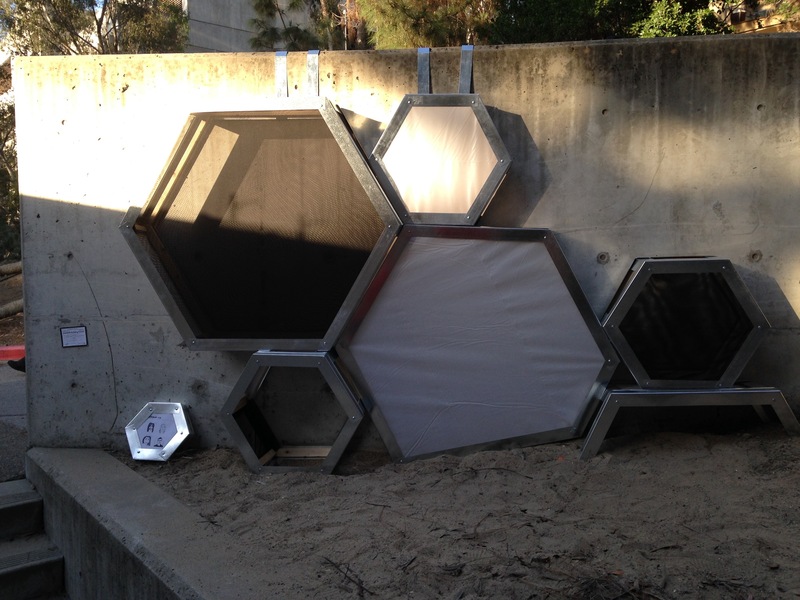 Students were hustling this past weekend to complete these projects, which are being installed on the Architecture and Environmental Design Building. 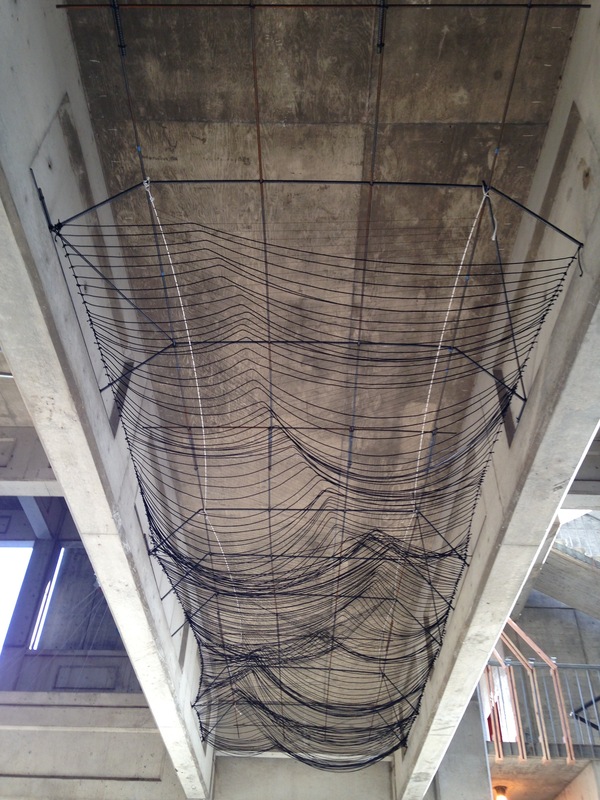 It’s the 10th year for paraSITE, a novel design-construction effort. 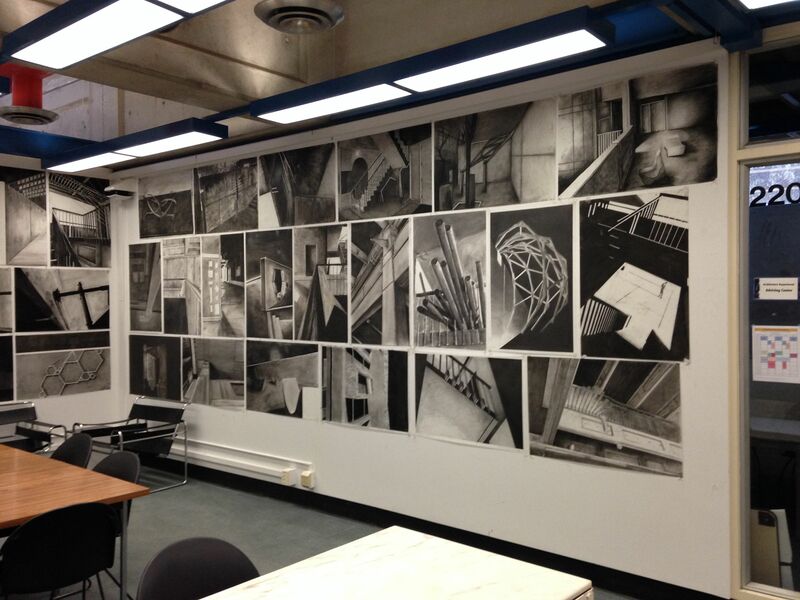 The 60 projects will be judged Monday by a jury of instructors, faculty members and professionals. 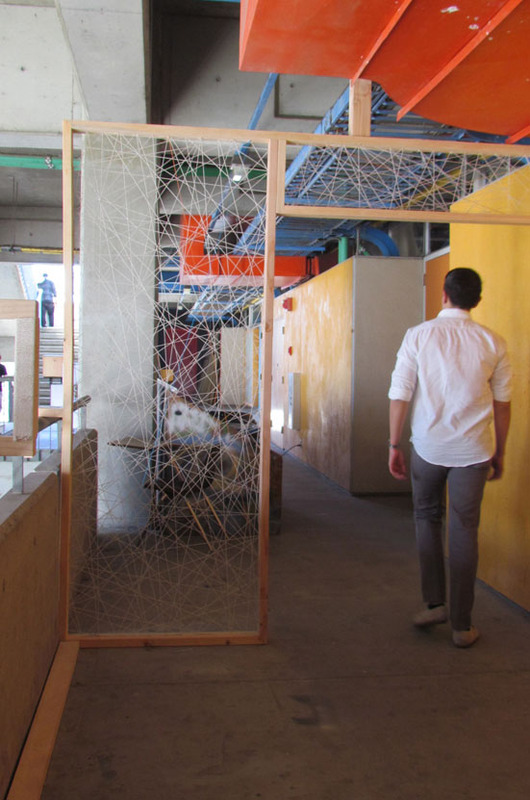 All of the projects will remain on display until Feb. 28.